There is no dearth of books, written in English. If you are looking for a good book in Hindi, then you need to do some digging. In India, very few books are published on topics associated with the environment. Thus, the Ministry of Environment decided to take an initiative to encourage authors to create original content in Hindi. In 2008, the then Environment Minister announced a unique booker prize, Medini Puraskar Yojna for Hindi authors. Encouraging authors to write books on environment – Many authors write book on several topics. But there are few who highlight environmental aspects. The main goal behind the launch of this project was to encourage writer to create original pieces on environment related topics. Encouragement to write in Hindi – Another aspect that made this scheme different than other booker prizes is that it only considers those books, which are written in Hindi. Number of awards – Each year, the evaluation committee will compare the applications and choose 1st, 2nd and 3rd position winners. Consolation prizes – Apart from the three winners, another participant will also receive a consolation prize. After all, the primary objective is to offer support to Hindi authors. Financial award – Each winner as well as other participants will receive a financial award. During the recent re-launch, Environment minister announced that the amount of cash prized will be raised from next year. Merit certificates – Apart from the financial award, each winner will also receive a merit certificate. This certificate will be issued by the Environment Ministry. Original publications will be accepted – The first criterion that all authors must meet is that the book must be an original work and not a fiction. Books written in Hindi – Only those authors can send in their applications, if they have written the book in Hindi language. Concerning environment related topics only – Only those authors will be able to submit their application if they have written on topics related to the environment. Books on assessment of environmental impact, pollution control, water resource management, wildlife, development of ecological aspects, environmental education, natural conservation and environmental research and promotion will be considered. Number of pages in the book – The book must not contain less than 100 pages. Books with more than 100 pages will be considered under this scheme. One prized every calendar year – This award will be given each calendar year. An author will be able to receive only one award during one calendar year. Three-year time span – Authors who have published their books during the current year or within a span of last three years will be able to apply for this award. Not for winners or grant beneficiaries – If any author has already won an award for that book or has received a grant or any kind of monetary assistance from either government or private organizations, then that author will not be included in the list. How to apply for the award? The Ministry of Environment & Forests will publish an official release in all leading English and Hindi daily newspapers. 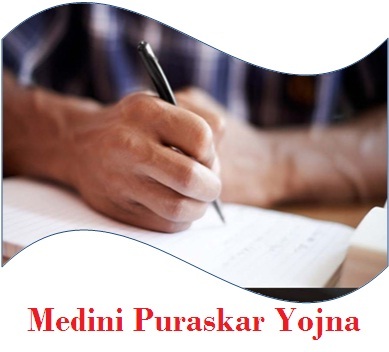 All interested authors who meet the required criteria will have to log on to the official website of this scheme by clicking on the link http://envfor.nic.in/content/medini-puraskar-yojana. From this website, applicants will receive necessary details about the application process. As the ministry has decided to re-launch this scheme, it is expected that they may bring about some changes in the application process. It will only make it less complex for applicants. The respective authority will publish all such details once they have finalized the program. All applications will be judged by a panel of judges. This special board of judges will be selected by the ministry itself. The Evaluation Committee will have four members. If any of these members have also applied for the reward, then they will no longer be able to judge other entries. All the members of this evaluation committee will be paid a certain sum (honorarium) for their services. Once all members have given their nominations, these will be sent to the ministry head. Then the minister in charge will announce the final results. Both the names of the members of the judging committee and the recommendations made by them will not be made public till the date of official prize distribution. The present environment minister is hopeful that the re-launch of this scheme will offer the much-needed boost to Hindi authors. These books will also create necessary awareness about the environment among people.